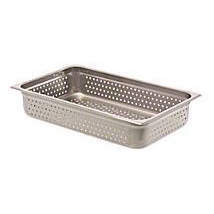 With the Cambro 1/3 clear cover with handle and notch, store, drain and serve all in one pan. 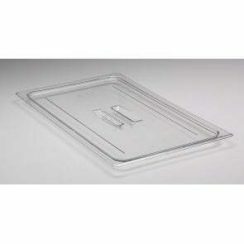 Keep your most popular ingredients fresh and ready to use with this Cambro 1/3 clear cover with handle and notch! Stop cross contamination, keep food covered. Every cambro pan needs a propper fitting cover. The handle makes for ease of accessibility. The clear cover helps you to see what is inside. 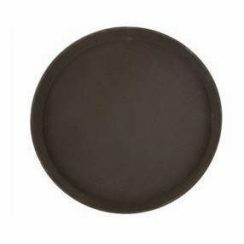 Featuring a classic construction, this lid makes a seamless addition to restaurants, pizzerias, and even catered events. 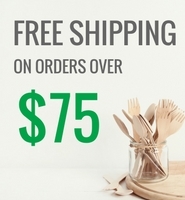 Simply place it atop your food pan, and you’re done! 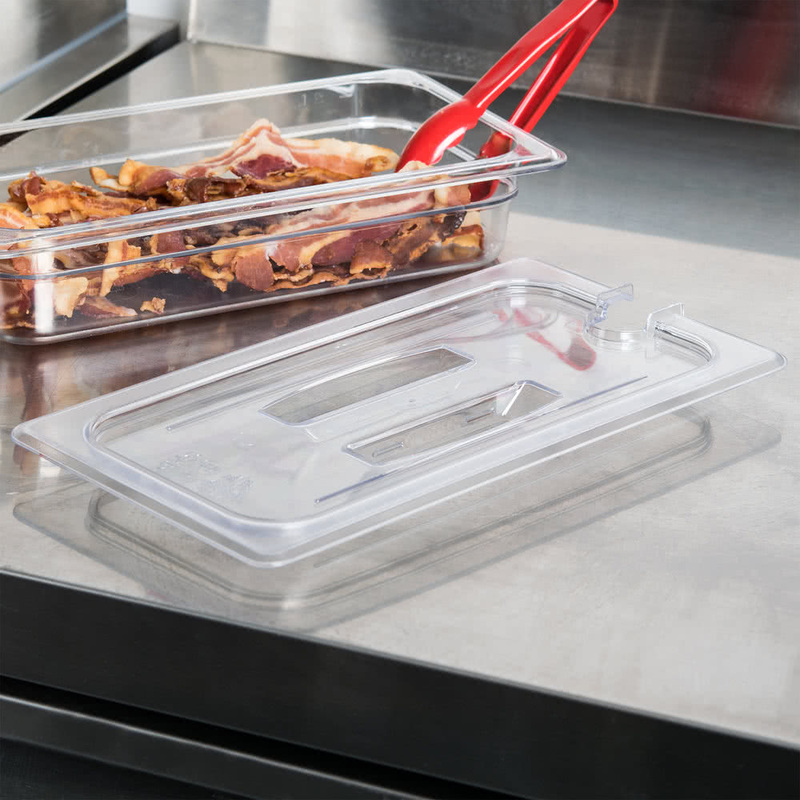 The lid keeps food protected from outside contaminants and debris, minimizing the risk of cross contamination. It features a deep molded handle for a convenient and secure grip. 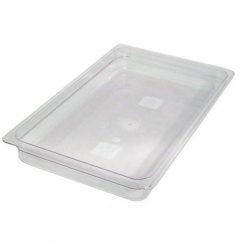 With this lid, you can rest assured that it will withstand the abuse of daily use, thanks to an easy to clean and virtually unbreakable polycarbonate construction. It’s shatter and scratch resistant for longevity. It is designed to withstand temperatures from -40 to 210 degrees Fahrenheit, giving you and your staff flexibility in storage, transport, and use. FULL X 4″ S/S PAN-PREF.